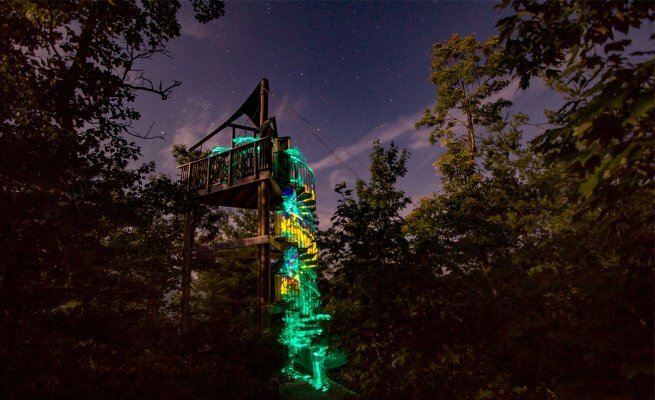 Zip through the night sky with expert aerial guides! 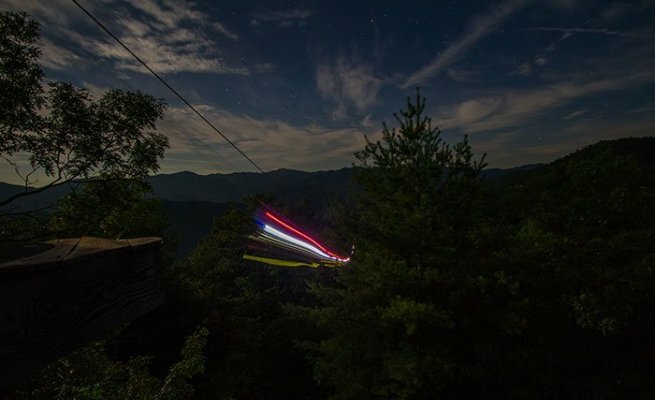 NOC’s exclusive Moonlight Mountaintop Zip Line Tour pairs our breathtaking Mountaintop Zip Line Tour with the spectacular light of the moon. 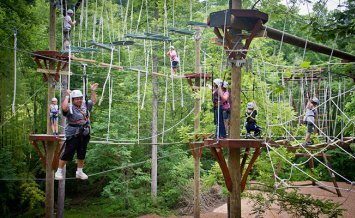 Enjoy the cool night breeze as you fly under the stars for two miles, zipping from ridgeline to ridgeline. 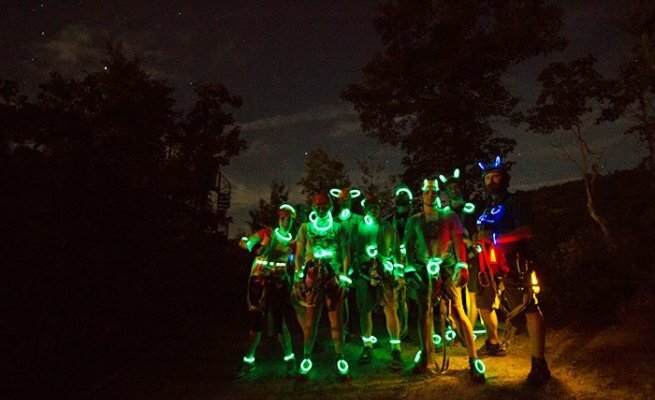 Glow sticks are provided for all participants, turning the course into a brilliant light show of speeding colors and heart-pounding adventure. 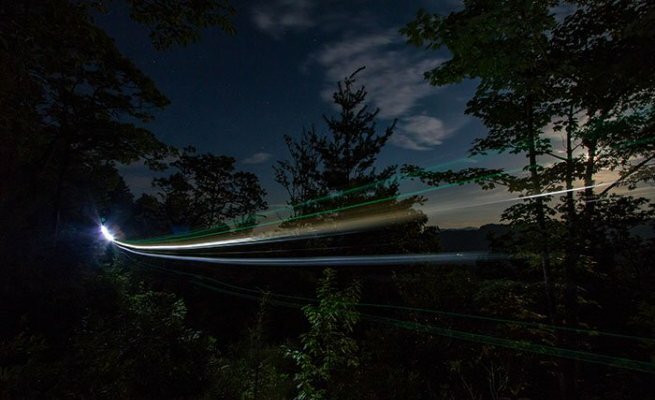 The highlight of the trip is NOC’s renowned half-mile Mega Zip where you experience almost 1-minute of flying, 350' above the forest floor—this time at night! Zipping by moonlight is a one-of-a-kind experience with amazing night views. 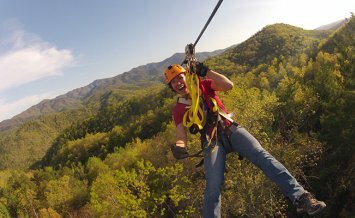 While NOC’s expert guides lead the trip, all guests must have previous zip lining experience to join this premium adventure. 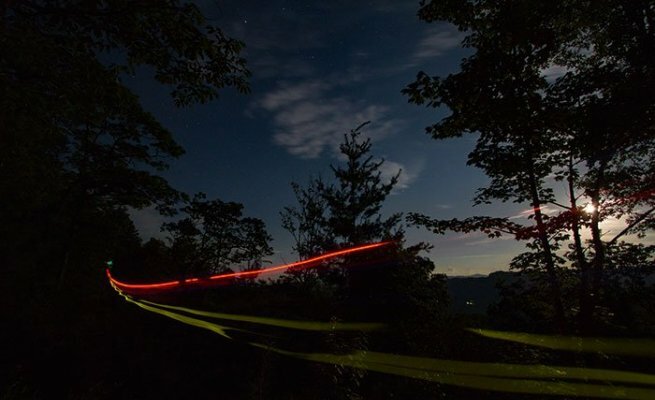 Before starting the nighttime course, each participant will be required to demonstrate zip lining proficiency during a ground school tutorial that includes braking instructions and signaling with colored lights. All participants must be able to distinguish red color from green and yellow lights that will also be on course. 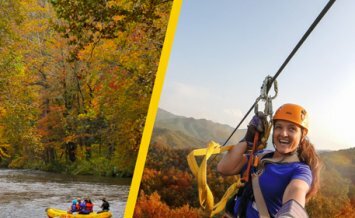 This is a premium zip line tour unlike any other—it’s sure to leave its mark as one of your all-time favorite (and most unique) adventures. Limited availability! Trips only occur on evenings close to full moons.